I love to bake but I HATE cleaning up the dishes afterwards. I get so excited to crack the eggs, mix the flour, and decorate the cake but when I turn and look at my sink doom settles in. The dirty dishes give me instant anxiety and sometimes I wonder why I even chose to bake in the first place. Am I alone in this? 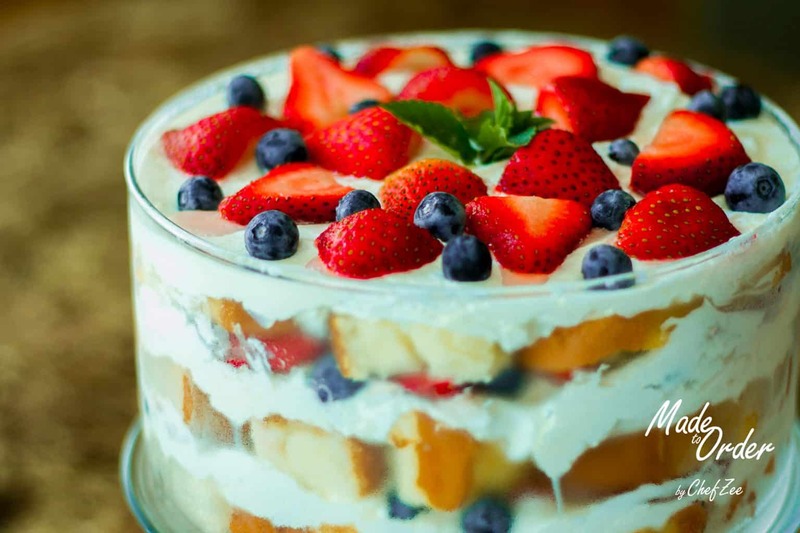 Every now and I then, I want to indulge in a sweet piece of cake without dealing with the mess. I’m the midnight cake gremlin so I have to have something sweet on hands ALL. THE. TIME. 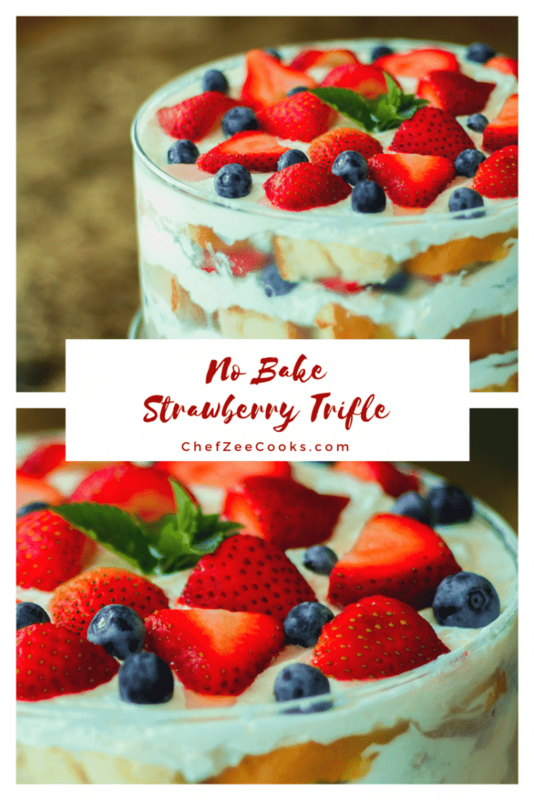 This No Bake Strawberry Trifle is the perfect dessert for anyone in a rush or for anyone who isn’t the best baker. You’d be surprised how these beautiful simple, fresh ingredients can transform a dessert. Your guests will be begging you for the recipe and look in disbelief once you tell them how easy it was. Not only that, but this dessert is also college dorm friendly.